This post is dedicated to some special people we met during the last 6 months and who we all hope to meet again some day! # Ana. Thanks for making life in Brazil even better and so much more fun! Ana is the gorgeous Brazilian (inside as well as outside) who joined us during our days in Rio, organizing some last minute carnaval tickets at the Sambódromo (which she taught us to pronounce correctly, eventually) in a maybe not entirely legal way but it lead to so much fun for all of us that it must have been ethically correct in the end. Furthermore, she also helped us to never run out of Caipirinhas on Ipanema Beach. As if that would not have been enough good deeds to make this list, she then introduced us to Pizza Rodizio (all you can eat Brazilian Pizza) when we next saw her in Ubatuba. There are many more amazing memories that we share with Ana but there is not enough space to account for them all here. So, thank you Ana and we can’t wait to see you again! # Connor and Elliot. 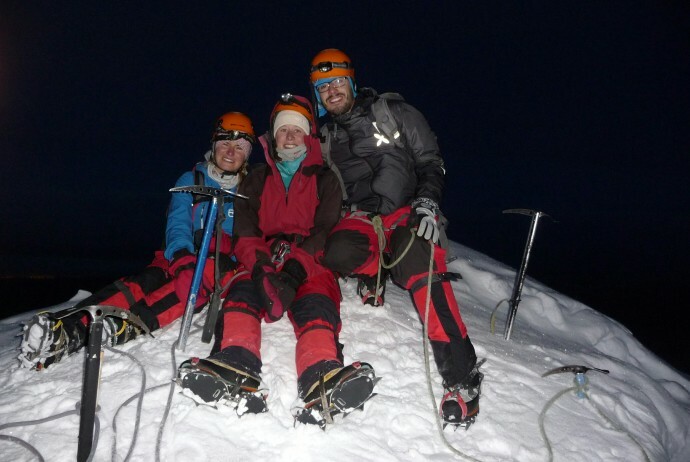 The coolest climbers to have ever climbed Cochamó Valley! Thanks to this guys, we spent some immensely fun nights in the middle of nowhere when we were exploring Cochamó Valley. We were taught an amazing card game, embarrassed ourselves for not being able to hum songs properly when playing a weird but really cool activity like game and were kept busy all night finding new spots to sit together because our refugio hostess kept kicking us out everywhere for laughing too loud. In the end we moved outdoors and enjoyed one of the most beautiful views of the night sky we have ever seen while sitting around our camp fire. Their greatest beneficial deed to us, however, was for sure to introduce us to South America’s best cookies: Toddies! We really hope to share some Toddies again with you as soon as possible!! # Santiago. Our favorite Columbian and astronomer – by the way fluent in German. We met Santiago, who now lives in Santiago (de Chile) but speaks perfect German, first in Cochamó Valley. 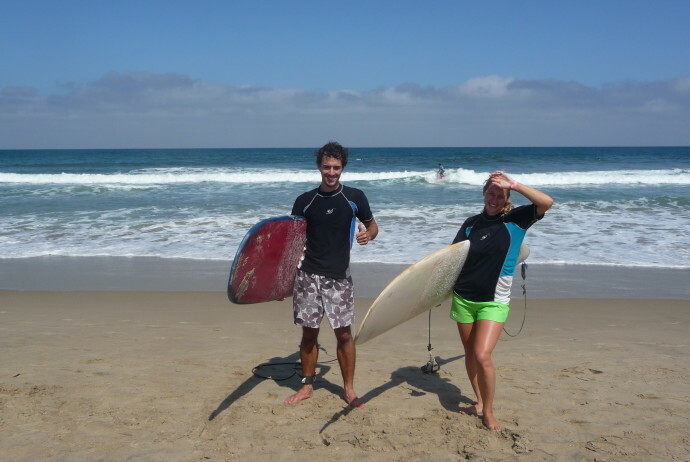 He was not only a great person to hang out with but also equipped us with so many tips for our further destinations that he not only made the time with him really, really great, but also the time we spent following his recommendations. Thank you very much for all of that Santiago and we hope that another one of your conferences will be in Innsbruck again when we are back!! # Julien. The French who made us conquer the toughest mountains! Julien not only made this list but is also our all time favorite French by far. 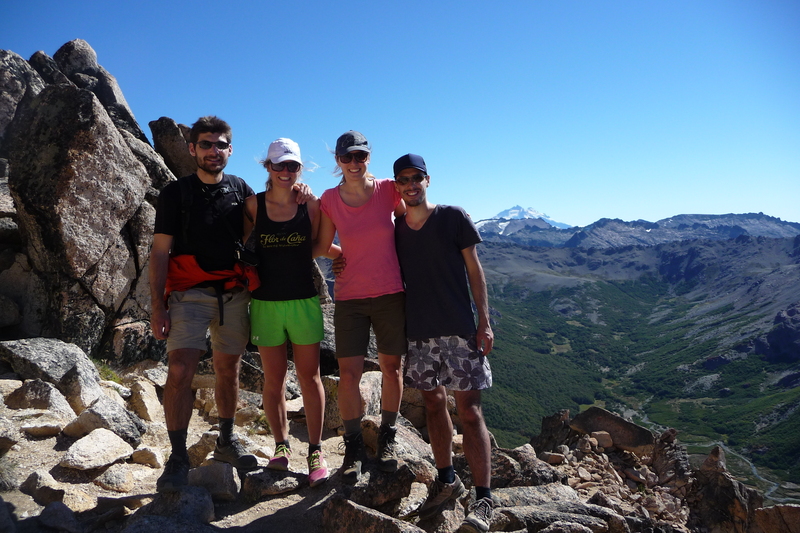 We met him on the bus to Bariloche where we spent one of the best hiking days of all our South America trip together: the track up to Mount Cathedral. After Bariloche Julien went on to discover South America along pretty much the same route that we had planned, but just a bit faster. Thus, he kept on sending through great advise on where to go and what to do and see there, especially which mountains to climb. 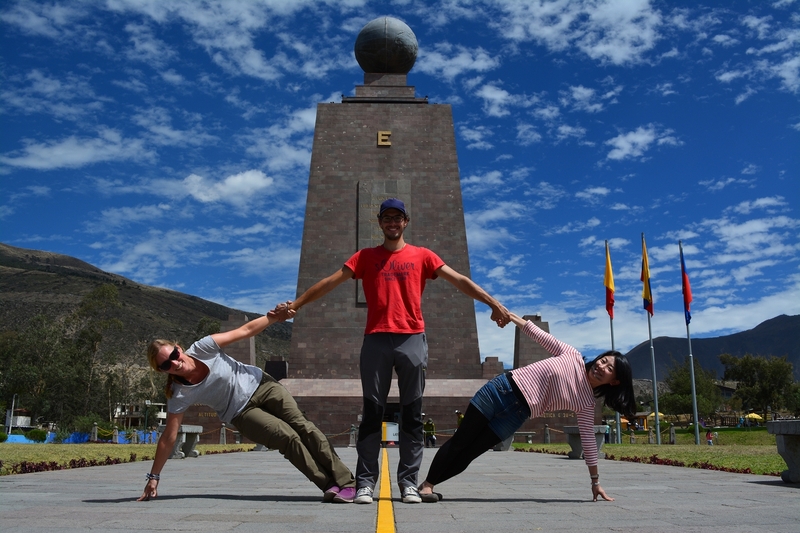 However, Julien is super fit, so some of his recommendations turned out to be pretty tough to follow through on, like for instance a 6088m high mountain or a one day trek of 32 km taking us up to 4150 m above sea level. But we made it through all of them, always motivated by telling us that ‘what a French can do, Tyroleans have to be able to do as well.’ We really, really hope to see you again Julien and that we can hopefully hike together sometime!! # Baukje and Harm-Jan. 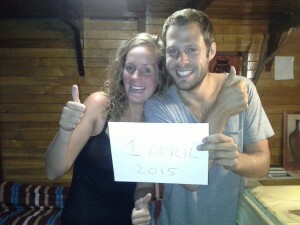 The sweet Dutch couple with the around the world ticket! We met this wonderful Dutch couple first in Bariloche when we were all starvingly waiting for BBQ night dinner at our hostel, which finally was ready at Argentinian adequate 11pm. To pass the time, we got to know each other over some beers and wine and instantly felt super comfortable together. Thus, we were really happy to meet up again in La Paz and one more time in Copacabana at Lake Titicaca. Each time we had a blast together so we hope for a fourth time soon! # The Uyuni Group. 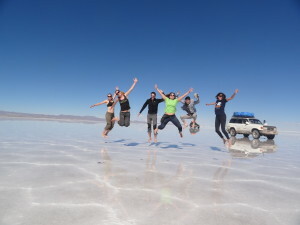 Fun times despite the cold nights in Uyuni! 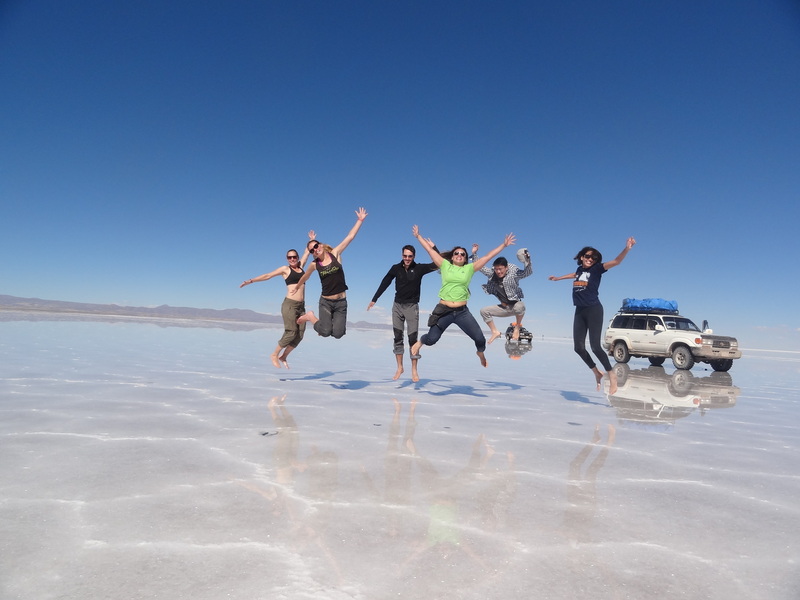 We discovered Uyuni in a seven seater Landrover of which each seat carried a super nice and special person. Thus, our trip through this unique scenery of salt flats and lagoons was amazing, also because we shared it with them. Regiane and Luiza from Brazil who were not only lots of fun but also made the coldest night up on over 4000 m warmer by sharing their proviant of wine and liquor. Edwin from the States who was not only really, really cool but also took amazing pictures of us. Fernando, our Bolivian guide who happily shared his coca leaves with us and taught us how to best chew them. # The special Group. 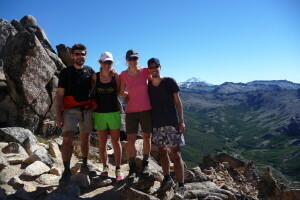 The one and only SPECIAL group on Salkantay trail! The special Group encompassed seven schmicko (an Autralian expression for ‘awesome’ that we learned during these days in exchange for some German lessons) people as well as the three of us. Our namegiver was our maybe not so special tour guide on our way to Machu Picchu along the Salkantay trail. Despite that we were suspicious that previous groups had received a similar honorful name before us, the group to us was more than special. 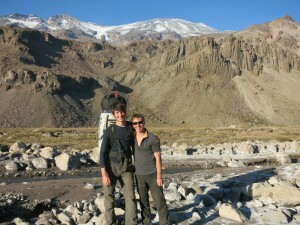 In fact, for us it was more of a highlight to spend five days with these guys, than seeing Macchu Picchu in the end. 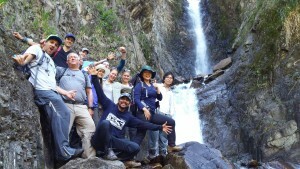 So thank you all, for making the Salkantay Trek to Macchu Picchu an unforgettable and wonderful memory!! We should definitely get together for another hike, or anything else, some day soon!! So who made the special group so special? 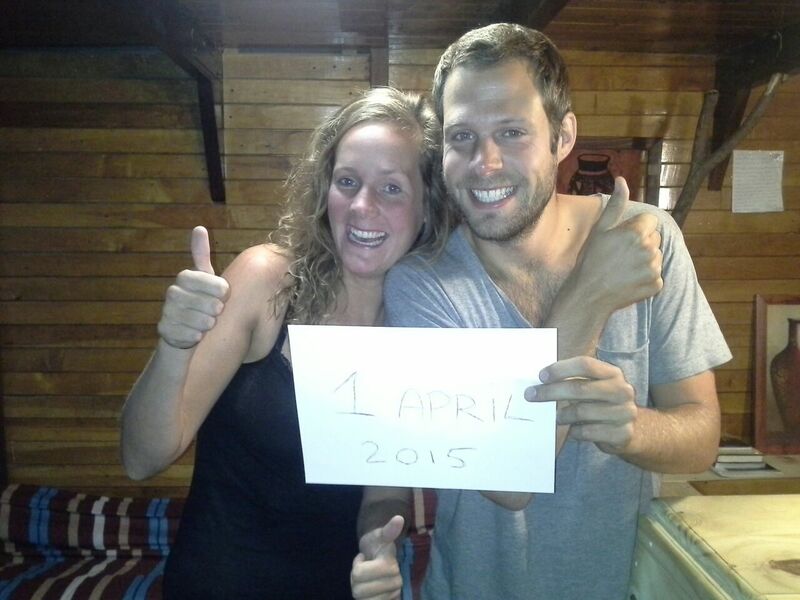 Awesome Lena and Julian from Germany! Schmicko Luke and bonza Jordan from Australia! Super cool and tough Bob from the States! Incredibly nice Marco and Ariana from Korea! # Maribel. The loveliest Peruvian we have met! Maribel was our room mate in Lima who made Perus capital way more interesting and beautiful to us. Furthermore, she helped us through Peruvian menus and introduced us to some local delicacies. However, apart from that she was just a great companion to spent a super relaxed and nice time just talking and enjoying life. Thanks Maribel and we hope to see you in Europe soon!! # Anna-Lena and Verena. Our favorite and most like us volunteer-companions! These two German girls arrived just one day after us at our volunteer house in Salasaka, just when we had already at least slightly digested our new circumstances but were still trying hard to like or at least accept our new home. Their faces and first reactions were our entertainment of the day because they reflected our first impression that we had had the day before identically, including the effort to try not to run away immediately. Thus, we instantly became friends and these two great girls made this place way, way, way better to us. Thanks girls and we hope to see you again back in Europe the latest! # Ofir and Ethgar. Our friends from Israel! 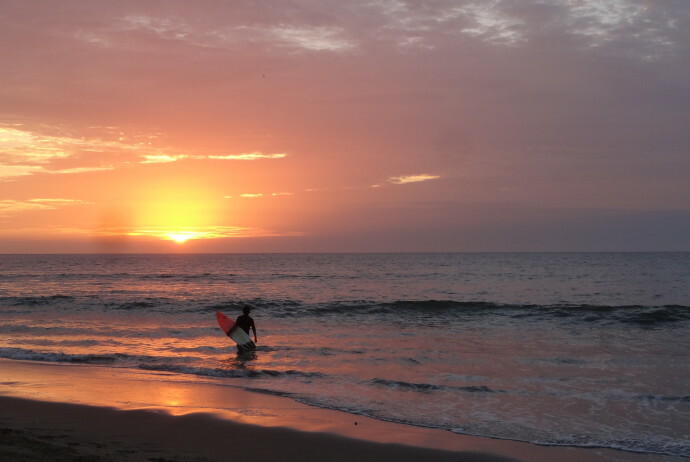 Thanks to our two amigos from Israel whom we met first in Montañita and then again on the Caribbean Coast of Columbia, for not only making sure our Hebrew was (almost) fluent before we parted, but also for sharing an unforgettable great time. # Cristhian. 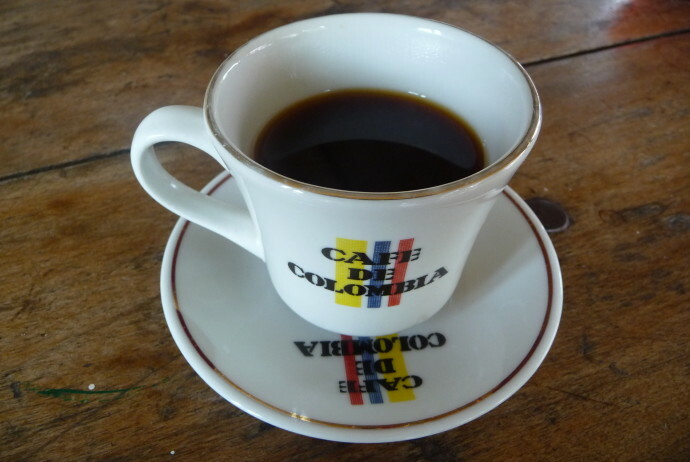 The best travel guide of Bogotá! 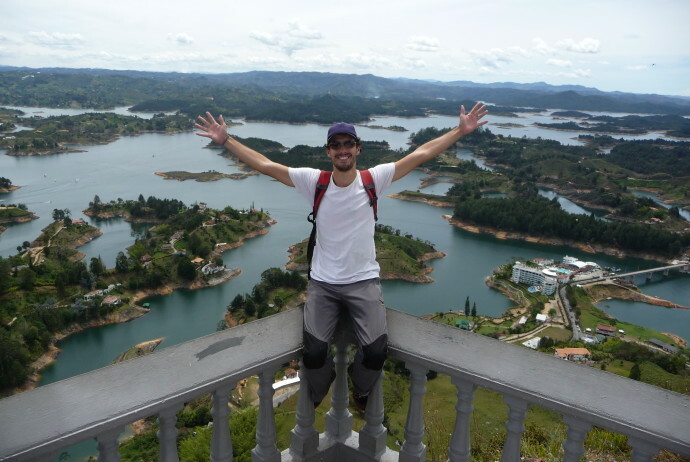 Our Colombian friend who, after having first met him in the North of Argentina, provided us with very valuable advise and a travel itinerary for Colombia. 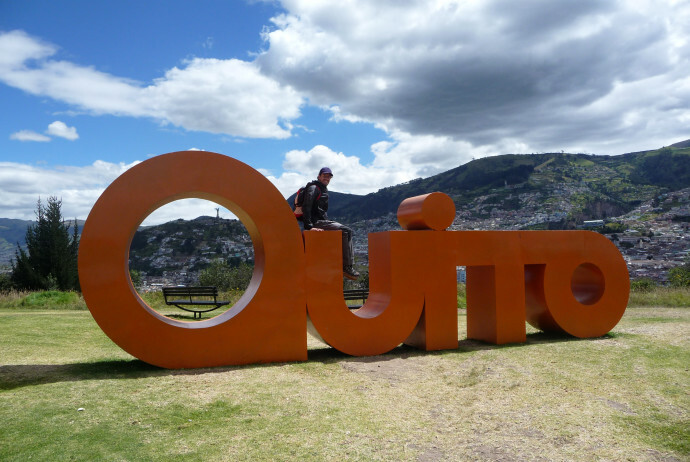 He also showed us around his hometown of Bogotá during two really fun days. Thank you!! We hope we can return the favor to our dear friend one day when he comes to visit us at home. # All the awesome Brazilian people simply for being awesome! There was this time, when we got out of the bus at the wrong time and thus, accidentally got lost in a favela in Rio and had no clue, how to get out of there again. Luckily for us though, as soon as we arrived, we caught the attention of some locals who were so honestly concerned for our well-being that, out of the problem of miscommunication between us, they wrote all the information we needed for the bus to take us where we wanted to go on our arm and personally escorted us to the bus stop. That may not sound so impressive, but it really was. And also other times, whenever we asked someone for the way or anything else, not only the person asked but also at least two others around tried their very best to make sure we were helped. Another time we were flashed by the kindness of these people was when we were on Ilhabela, the home to the most blood-thirsty mosquitoes ever, and we met this guy when we were hiking who saw some mosquito bites on our legs and thus did not let us pass before spraying us personally from head to toe with his mosquito repellent. Also amazing were the people that we met in São Sebastiao when we were waiting for some friends to pick us up in pouring rain but could not get a hold of them with our phones. These people gave us phone cards for free and when that did not work let us use their phones until we got things sorted out eventually. And that might not sound strange to you, but in a country where people are generally afraid to even take out their mobiles in fear for having it stolen, that was amazing!! Apart from all these, there were some people that were just so much fun to meet and hang out with and that we spent unforgettable times with! And last but not least, the ones who made us feel like VIPs when randomly wanting to take selfies with us to post on facebook because we were from Europe. Thanks to all of you! 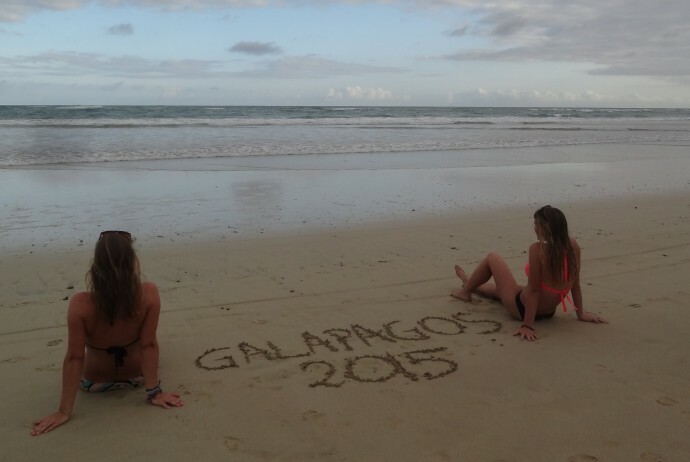 We will be back for sure to again visit your amazing country! We cannot end this blog without also thanking the awesome guy that saved us from Las Vegas when we were hitchhiking to get back to Mendoza because the only bus back that day would simply not come. And seriously, saving used here is no understatement, if you don’t believe it, go to Vegas and find out that one night there, (especially when you are staying with Aureliano) is way more than enough and two simply tooooo much! !Thanks also to the guy in San Carlos de Bariloche who picked us up when we were stranded after a hike with no busses coming anymore and a 10km further hike back to the next town. Also, while talking about Bariloche we also want to thank the people that came up with the recipe for the chocolate ice cream at Rapanui – it is the most amazing ice cream ever, ever, ever in the whole world and made us so, so happy! Here the special thanks go to the two guys whose names we sadly cannot remember (most likely due to our slightly out of balanced state after dancing and drinking all night in Santiago) but who took us all the way home to our hostel which was more than a hours journey and in the opposite direction of where they had to go on their way home. Thank you so much! Who knows where we would have ended up without these guys! 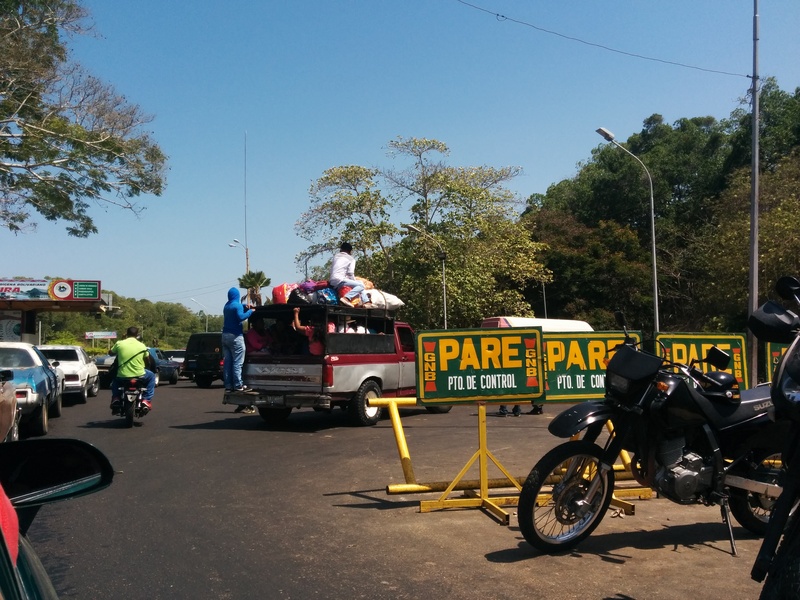 Also in Bolivia there were a few people that we cannot thank enough: for instance, the driver who took us safely along the Death Road to Rurrenabaque in almost record time and without any accidents or happenings. Also a big thanks goes to Luis, the guy who pretty much runs the town of Rurrenabaque: He picked us (and all others that arrived with the night bus in Rurre) at the bus terminal at 5am and put us in a taxi to the town’s French Bakery where we had the most amazing chocolate and apple bread of South America. # Ricardo and all the other wonderful Venezuelans that helped us out! Thanks to this guy who rode with us in the same collectivo (shared taxi) from Maicao to Maracaibo and somewhere on the way must have realized that without his help, we would probably get robbed already at the bus terminal before being able to buy tickets… so despite being eager to get home to his family, he stayed and helped till we were set up and ready to make our way to Caracas. 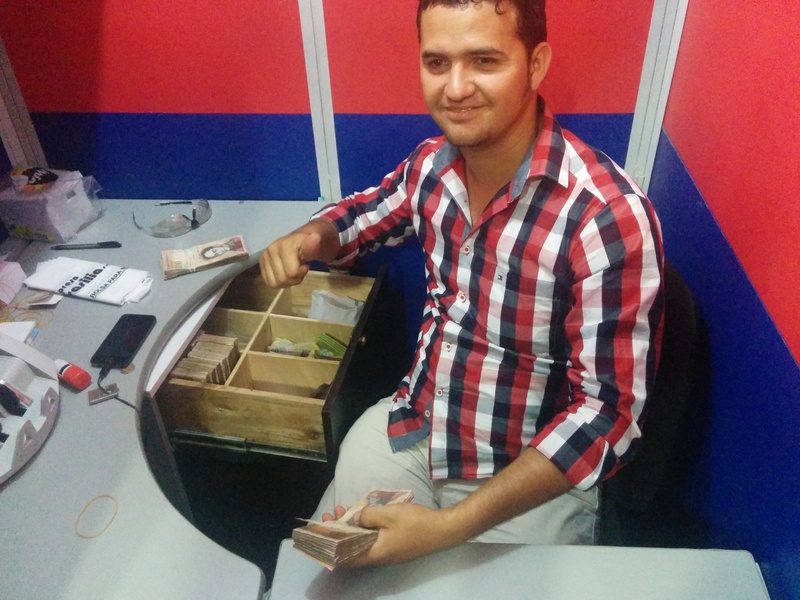 Apart from him, however, many other Venezuelans kept helping us out on a daily basis (eg. the lady that offered to lend us money to pay for our hotel room when we got robbed, the sweet girls that worked at the hotel when we got robbed and who helped us to get sorted again…). Thanks to them all we made our way through the country without major setbacks or damages while having a blast and were collecting unforgettable memories. # Our mum’s, dad’s and friends at home. Without you, this would not have been possible! Despite that of course we did not meet them here, they still so very much deserve to make this list: without them, we would not have made it this long here, no way! They were there when we just needed someone to talk with, saved us all so many times and helped us to solve bank troubles when a card got copied and one became useless after breaking a phone, they made sure we got the medical support from home when doctors here could not be trusted much, they sent us stuff we had forgotten to bring and they sponsored our adventures with love and care. Huge and many thanks to all of you! You are awesome!! Arequipa was our first stop in Peru and made us like this country right away: it is a beautiful city full of good food, friendly locals and there is lots to do in the city’s surroundings. 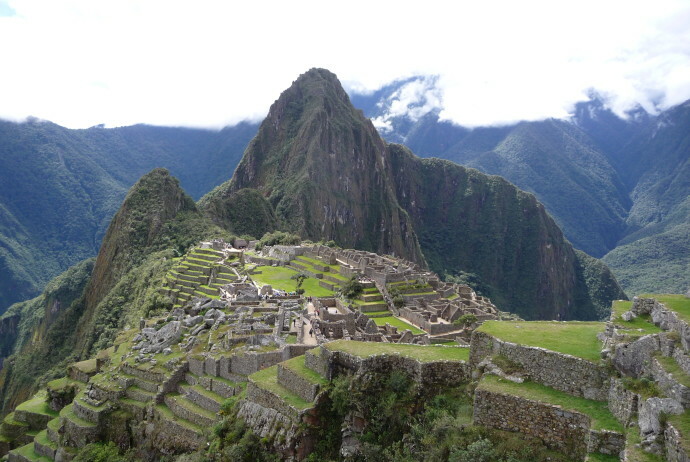 When we got to Peru, we only had a few days here before our Machu Picchu trekking. Thus, we spent one day with relaxed sightseeing in the city center and as we had heard so many good things about the Peruvian cuisine, we of course also had to start our culinary exploration, trying some Ceviche: raw fish in leche del tigre (tiger milk – we haven’t found out yet what that is exactly) and loooooads of onions. Smelling almost as lovely as fresh roses, we made our way “home” to the hostel, picking up a local specialty for dessert: “helado de queso” – cheese ice cream – it tasted way better than that may sound. 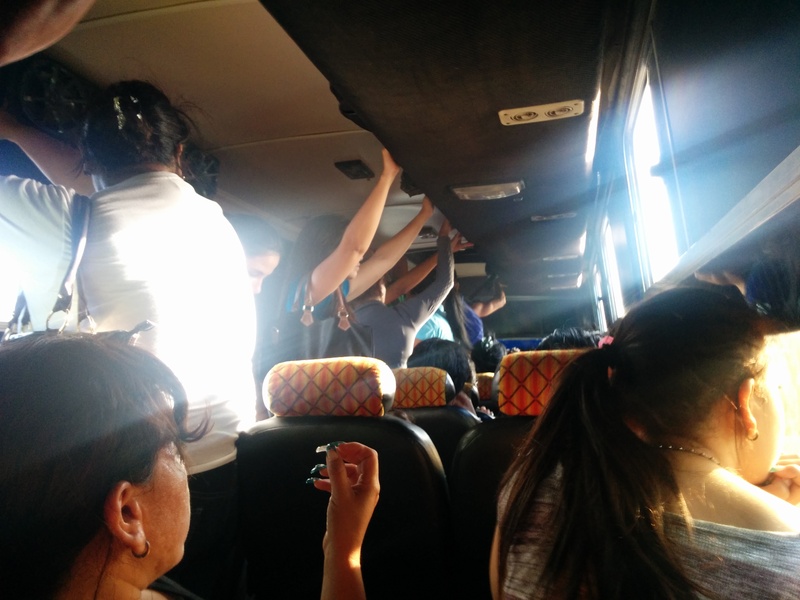 Arequipa is famous for the nearby* Colca Canyon, so the next day we took a bus to go visit it. Colca Canyon is supposedly the world’s deepest canyon and home to one of the world’s biggest birds: the majestic condors. Luckily we got to see a few while there. To explore the canyon properly, we opted for a two day trekking trip. Thus, on our first day, we hiked down into the Canyon’s heart, called the Oasis, where we could cool down in our hostel’s pool after our quite hot hike. The next morning we had to get up at 4.30 am to hike back up the Canyon on time to catch our bus back. Hiking Canyons, however, is a bit of a weird and slightly illogical, or at least contra-Tyrolean common sense, regarding hiking, thing: first going down and then back up is somehow not as satisfying as vice versa. Also, there is no summit at the end to aim for. Thus, we had to try to make up for that and therefore, rewarded ourselves with a delicious second breakfast when we were back up. 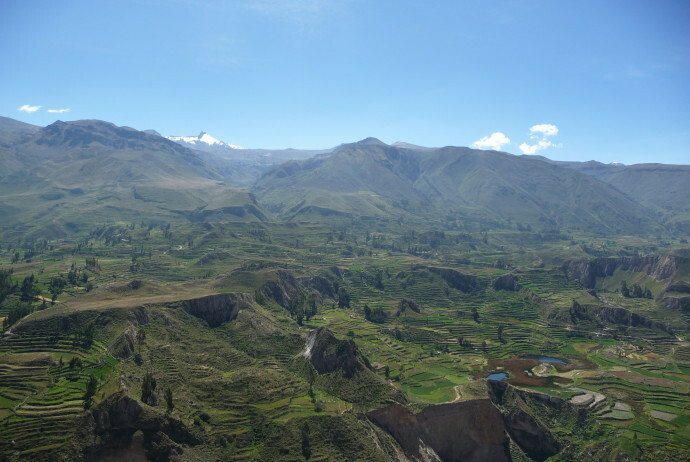 Nevertheless, we enjoyed our hiking excursion to Colca Canyon, especially because the scenery with all the pre-Inca and Inca terrasses, where the locals still grow chia and other crops, is amazing. 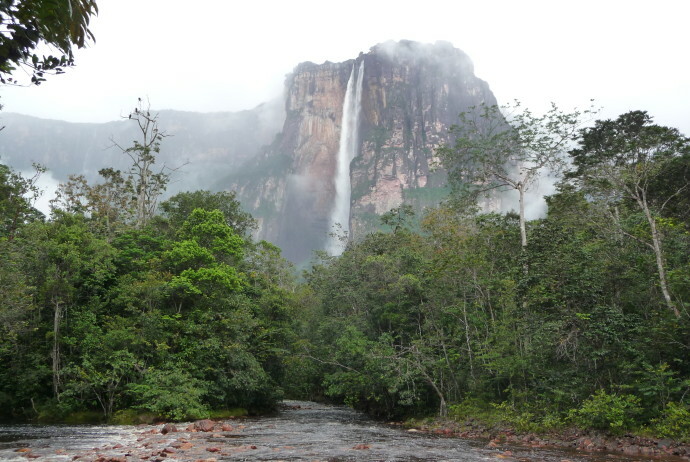 Furthermore, we were also lucky to see the whole Canyon “green”, as the rainy season had just ended, leaving the whole place covered in grass and flowers. 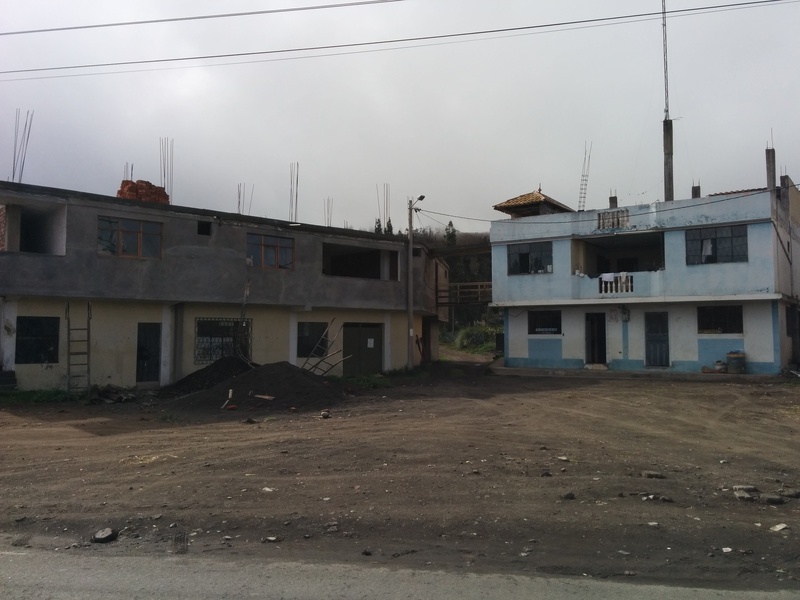 On our way back to Arequipa we visited some of the area’s picturesque villages where we tried some local foods like cactus fruits, made friends with some feathery creatures (check out our pictures!) and passed lots of snow covered volcanoes. 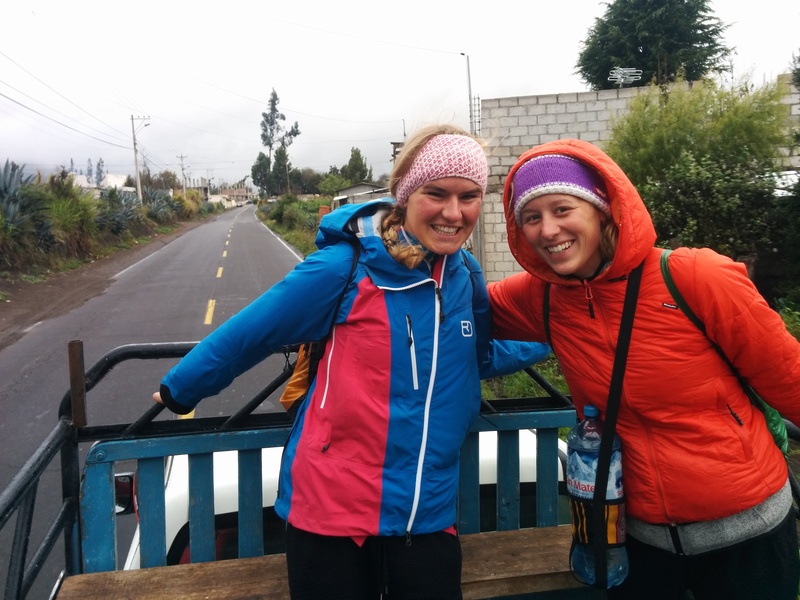 We also relaxed in some hot springs and learned the difference between llamas, alpacas and vicunas – or at least tried to… They all are cute and fury after all, some are bigger, some are smaller, some have longer and some have shorter hair…. At the end of the day we eventually made it back to Arequipa where we then spent one more relaxed day before heading off to Cusco. 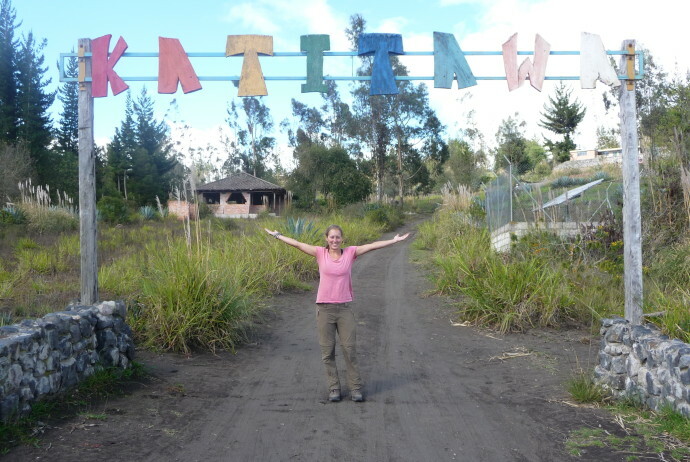 Where to sleep: Vallecito Backpackers in Arequipa. This place was our absolute favorite hostel so far: super clean (amazing especially after just coming from Bolivia! ), incredible friendly hostess and wonderful breakfast. In Colca Canyon are a few hostels in the Oasis and the farther in you go from the entrance, the nicer they get… Pick one with a nice pool when you get there to still enjoy some sun! Where to eat & drink: The local market in Arequipa offers a variety of tasty local foods, for instance ceviche and fresh juices. Leaving La Paz on a bus like we did is quite a challenge as it takes forever to maneuver through some of the probably busiest streets we have ever seen. By the way, we have some amazing videos of the city’s crazy traffic, which entertained us from our hostel’s window better than any hollywood blockbuster could ever have. Just ask if you are interested to see them. Anyways, as soon as our bus was outside the city area, it did not take long until the glistening blue of Lake Titicaca came in sight. However, this lake, that used to be a sea a long, long time ago, is so huge, it still took a while until we arrived at Copacabana. 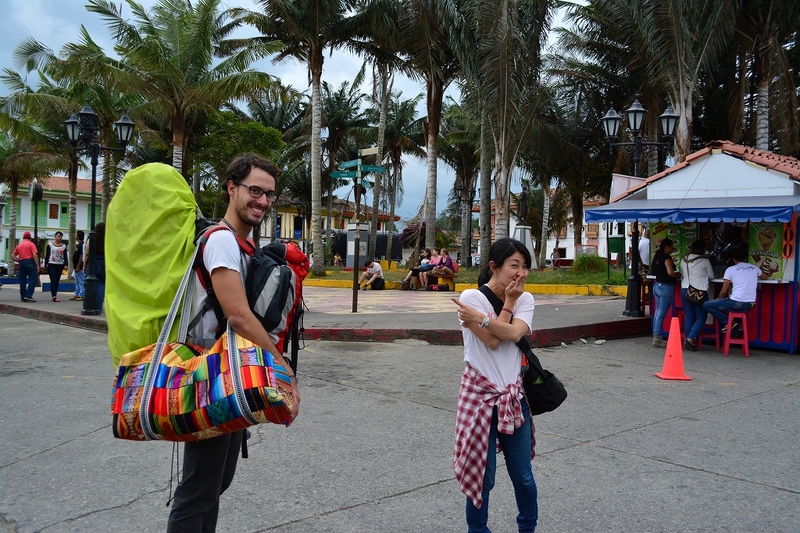 Most backpackers pass through this beach town when going from Bolivia to Peru or vice versa. The town itself is very touristy but still a nice place to spend an afternoon at. This is just enough time to, like us, have some delicious trout while enjoying a lovely view over the lake, to hike up Cerro Calvario to see the sunset and book tickets for the boat ride the next day to the “Isla del Sol”. This island is quite famous, as according to Inca mythology, it is the birth place of the sun as well as of the Incas as a people. Apart from historical importance, it is also recognized for being one of the lake’s most beautiful islands, and thus, we definitely wanted to see it. Our boat took us to the North end of the island from where we walked in a nice afternoon stroll to the Southern end. While on our little “trans-island mission” we met lots of the friendly inhabitants of the island, not only people, but also donkeys, sheep, alpacas and pigs, always while enjoying lovely views. We arrived just in time to see a marvellous sunset. Afterwards we had a tasty candle-light trout dinner which was not only super delicious but also probably the last dinner in Bolivia on this trip of ours. As we slept in a hostel in the village Yumani, located up a hill, we had a spectacular view of the sunrise the following morning. Breakfast up here, with this amazing view over Lake Titicaca, tasted delicious. Afterwards we hiked down to the beach to catch a boat back to Copacabana where a big party was already going on: the 1st of May is celebrated here with colorful parades, lots of dancing and quite some booz. Despite that we would have liked to join in longer, we had to keep it short: Peru was calling and waiting to be discovered! 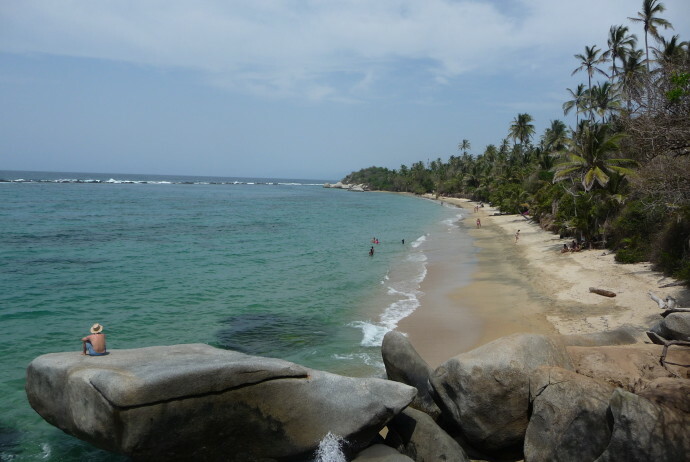 Where to eat & drink: There is a line up of little food stands on the beach in Copacabana and they all know how to grill the local trouts to perfection (for little money). Where to sleep: Hostel Mirador – overlooking the lake and affordable. There is no functioning Wifi but hardly anywhere here is. 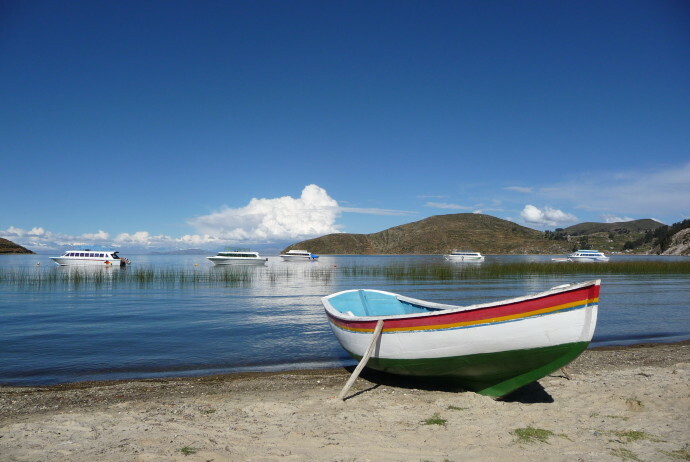 What to do: Take a boat to Isla del Sol and hike from the North to the South – we can promise you amazingly scenic views (take the path along the coast). Also, enjoy the sunset in Copacabana from the Cerro Calvario – just a 30 min hike from the city’s center (calculated for a slow high-altitude pace). 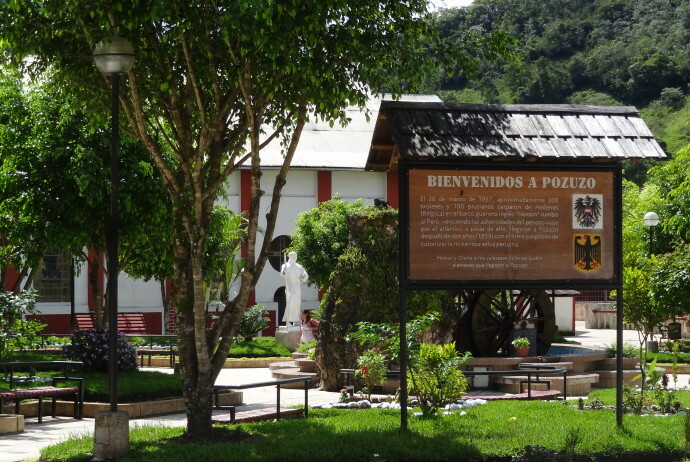 A new challenge was on when we planned out our trip to Potosí. 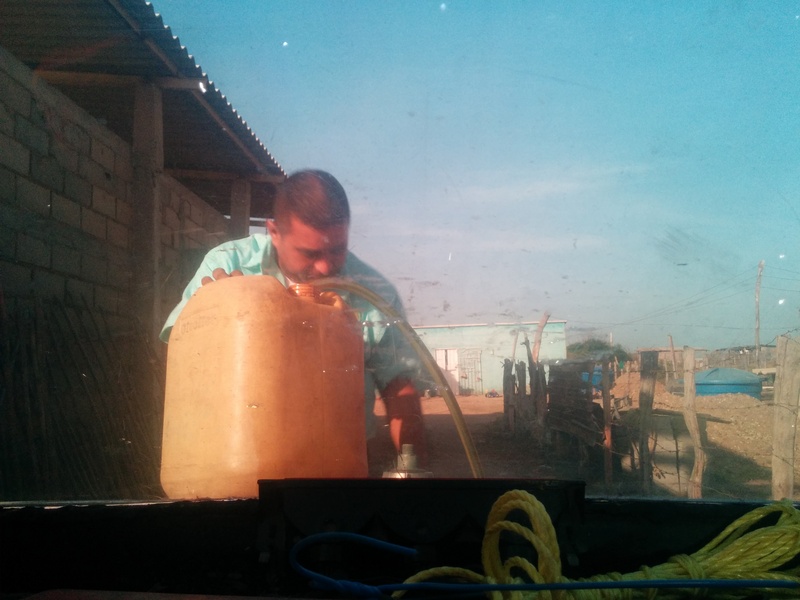 We wanted to take an overnight bus from Villazón, the first town on the Bolivian side when coming from Humahuaca, spend a day in Potosí and take another overnight bus from there to La Paz. Planned – done – succeeded… even if quite exhausted. 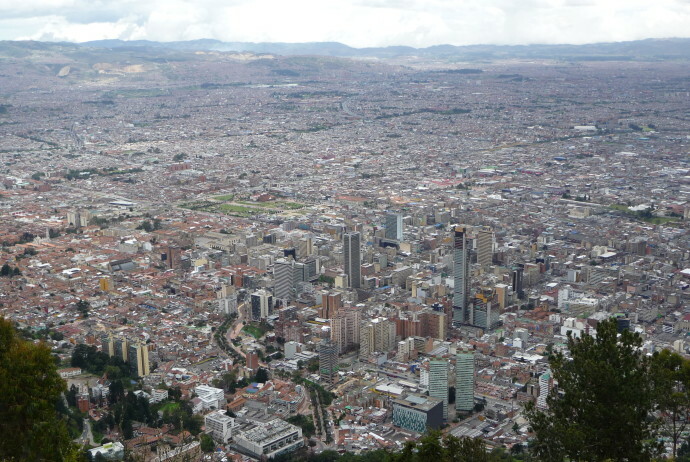 Potosí is the world’s highest located city. 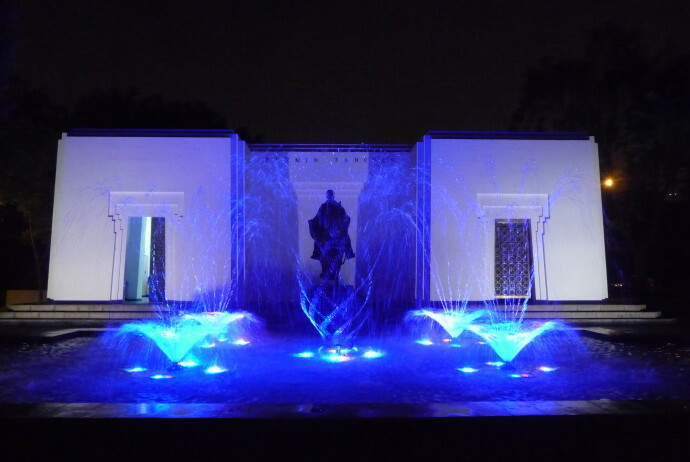 Once upon a time it was also South America’s richest and one of the world’s biggest cities, as during the Spanish colonial times, silver was found in abundance there. 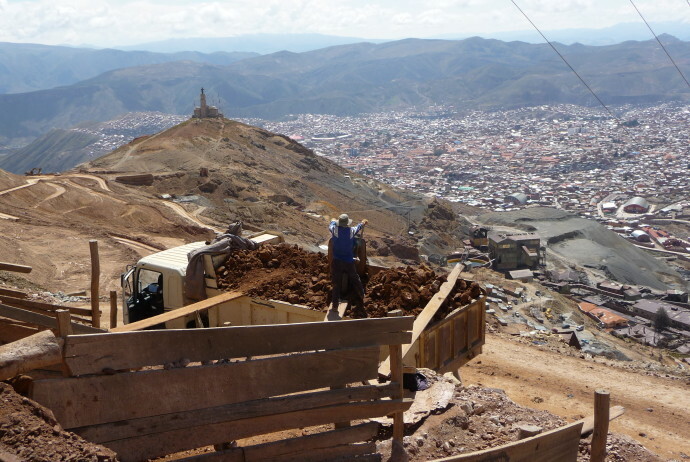 Now the silver reserves have almost completely been exploited, but as for now, still around 15.000 people are working in the network of mines spanning the inside of Cerro Rico, the mountain overlooking Potosí. Nowadays, it is also possible to visit the mines. We had been told that it would be tough, but seeing and at least slightly experiencing the conditions under which the miners, who often are no older than 15, work here, day after day, was still shocking. However this day trip helped to put things in perspective: we will probably think twice next time before complaining about uni, a job, or whatever else. After all these impressions in Potosí and two nights in a bus, we are now happily knocked out in our hotel room in La Paz, recharging all our energy for the most likely “highest” challenge of all our trip: the hike up Mount Huyana Potosí*. Where to eat & drink: Mercado Central – here you can get breakfast at one of the little snack stands in case you arrive as early as us, before anything else opens. What to do: Book a tour to see the mines. We did ours with Koala Tours and had a good experience. Where to sleep: We actually don’t know, we opted for the bus, but there sure are some nice hostels. * Due to the time difference between writing and posting we can already anounce our successful ascend. Story to come! 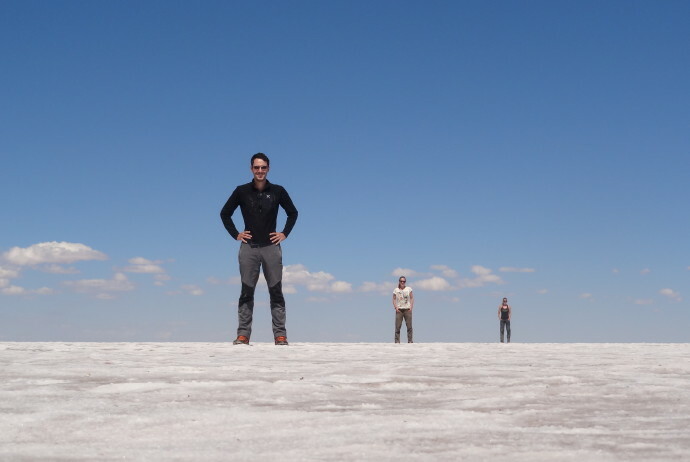 Back in La Paz we had one day to relax, to wash our jungle-dirty-stinking clothes and get ready for our next destination: the Salar de Uyuni – the world’s largest salt flat. We took an overnight bus to the town of Uyuni which got us there just in time to have breakfast before starting our three day tour in a 4×4 land cruiser. The first day was already spectacular as we got to spend it all on the salt flat. We were very lucky, as the sun was shining down from a picture-perfect blue sky after it had rained just a day before. Thus, there was just enough water to make for perfect reflections. This place is definitely the world’s most beautiful mirror. It is also so unique that it is hard to find proper words to describe it. Thus, we hope the pictures we took can provide you with some adequate impressions that make you want to go there and see it with your own eyes. After a wonder- and eventful first day, we arrived at our hotel, which was pretty much entirely built of salt. The next day we got up early to see the sunrise over the salar, and off we went to see lagoons of all colors – most of them are inhabited by loads and loads of flamingos. This day we also reached the highest point of our trip so far: 4800 m above sea level. Up here, volcanoes of 6000 m (of which there are many around here) looked like hills. Tired from the myriad of impressions and probably also the altitude, we had no difficulties falling asleep at 8 pm that night. This was great, as we had to get up at 4 am the next day to see geysers and take a bath in hot springs at sunrise. 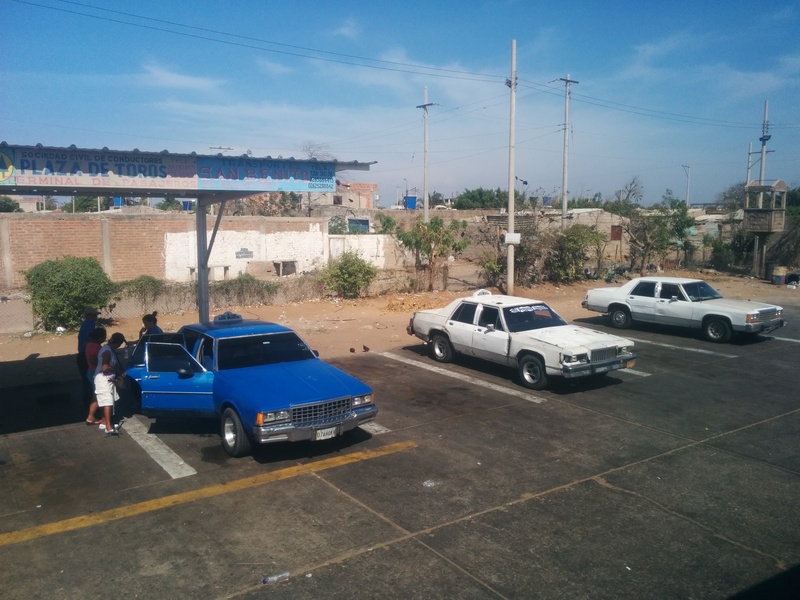 Eventually, we made it to the Chilenean border. There we had to say goodbye to our great guide and awesome tour group members, as we had to catch a bus to San Pedro de Atacama – our next destination. Where to sleep: A salt hotel – one sleeps amazingly sweet on salty beds. 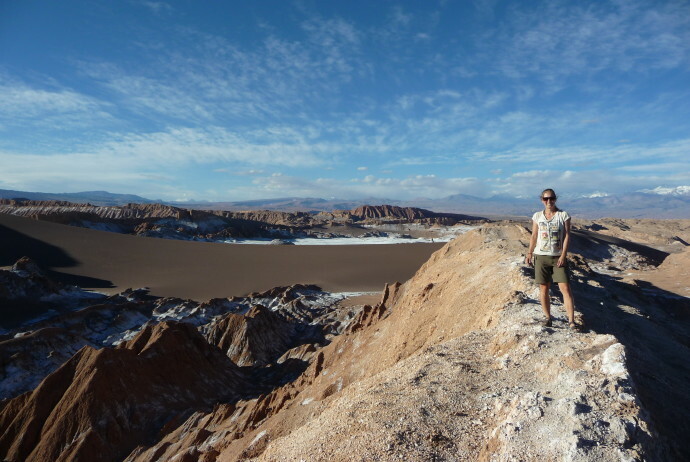 What to see & do: Do the three day tour of the Salar if you have time, it is worth it!